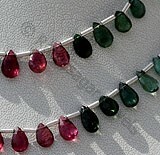 The word Briolette is driven from the French world which means a small dried plum. 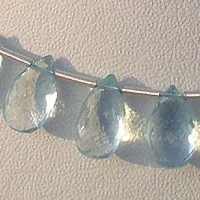 The use of the cut can be traced be to 14th Century. 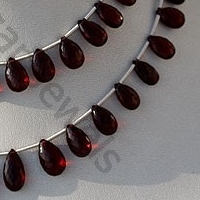 It was widely used in estate jewellery and antiques. 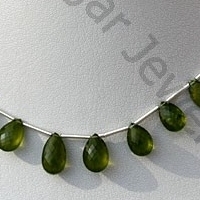 The cut was hugely popular with diamond in 18th Century. 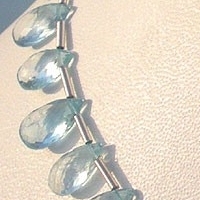 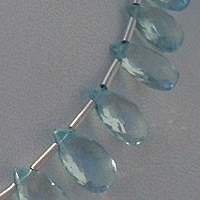 The trend keeps on changing and presently the hot selling design is flat pear briolette. 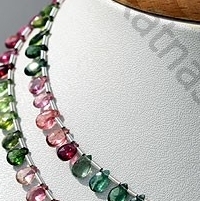 A brilliant cut gemstone cut with stunning triangular facets. 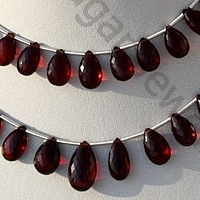 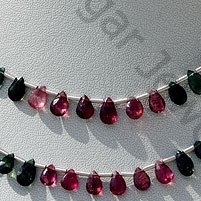 Ratna Sagar Jewels offer you a huge collection of stylish flat pear briolette in a huge variety of gemstone. 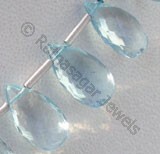 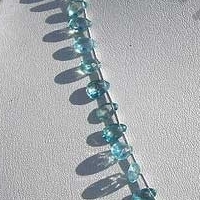 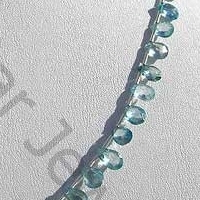 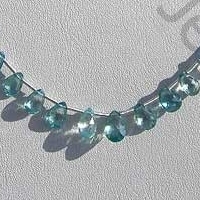 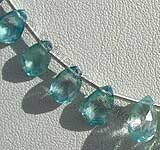 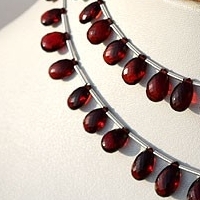 Browse through online section to buy flat pear briolette gemstone beads of your choice at great price. 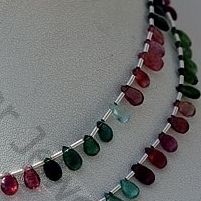 Tourmaline Gemstone is a series of several different minerals, possess property of transparent with vitreous luster and are available in light to dark pink-green multi color with micro cut, Flat Pear Shape. 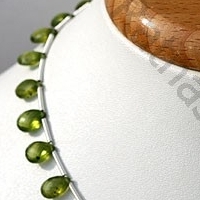 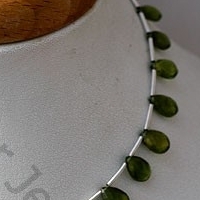 Natural Vesuvianite Gemstone Beads possess property of sub transparent and are available in green Color with micro cut, Flat Pear Shape.